Oregon State University is proud to be the primary hosting site for ROS, the Robot Operating System. ROS is a flexible open-source framework for writing robot software. It is a collection of tools, libraries, and conventions that aim to simplify the task of creating complex and robust robot behavior across a wide variety of robotic platforms. 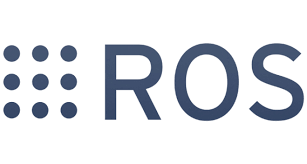 Initially started by Willow Garage, ROS was designed from the ground up to encourage collaborative robotics software development and currently includes contributions from hundreds of roboticists from all over the world. ROS is currently managed and maintained by a large number of community volunteers, supported by the Open Source Robotics Foundation (OSRF), an independent non-profit organization founded by members of the global robotics community with a mission to support the development, distribution, and adoption of open source software for use in robotics research, education, and product development. We use ROS extensively here at Oregon State and also actively contribute our code back to the community, primarily through our GitHub organization, OSUrobotics. If you don't already use ROS for your robotics work, we encourage you to check it out and to join our community. If you do already use it, then please help us out by adding your code contributions to the ever-expanding ROS ecosystem. You can find out more about ROS, how to install it, and how to use it at www.ros.org.